Sunrise Academy’s Arabic curriculum is based on four interactive abilities: listening, speaking, reading, and writing. These abilities are emphasized as curriculum priorities, which shape and influence the total academic life of the student. The program also supports correct pronunciation, handwriting and grammar. Students engage in meaningful reading, writing and speaking activities for a variety of purposes and audiences. Students develop and use effective processes as readers and writers. 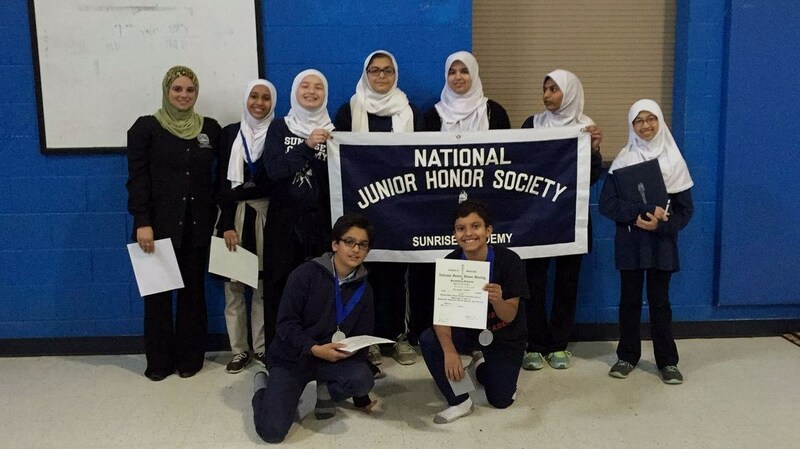 Students in grades 1st through 8th grade are eligible for High Honors, Honor Roll, and Merit Roll. High Honors: All A+ in all classes. Honor Roll: All A’s and one (1) B in all classes. Merit Roll: All A’s and B’s. 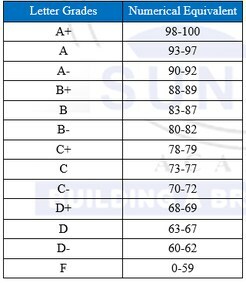 Please see the outline of the grading policy listed below.